Walt Disney has been a household name for many years now and has been a success since 1928 when Walter created Mickey Mouse with Ub Iwerks. Walter Elias Disney was born in 1901, in Chicago, where he developed an interest in drawing and creating. He created and animated some of the most well known characters, from princess/princes, to animals and monsters. Whilst Disney Studios has produced so many animated classics, Walt Disney’s studio also created some amazing live-action adventures such as, Mary Poppins (even though there were some animated parts), Treasure Island and Robin Hood and His Merrie Men. Walt Disney Studios has expanded to become a giant in the film industry and has also stretched out into other industries such as; the music industry with soundtracks, games and toy industry and of course the theme park industry. 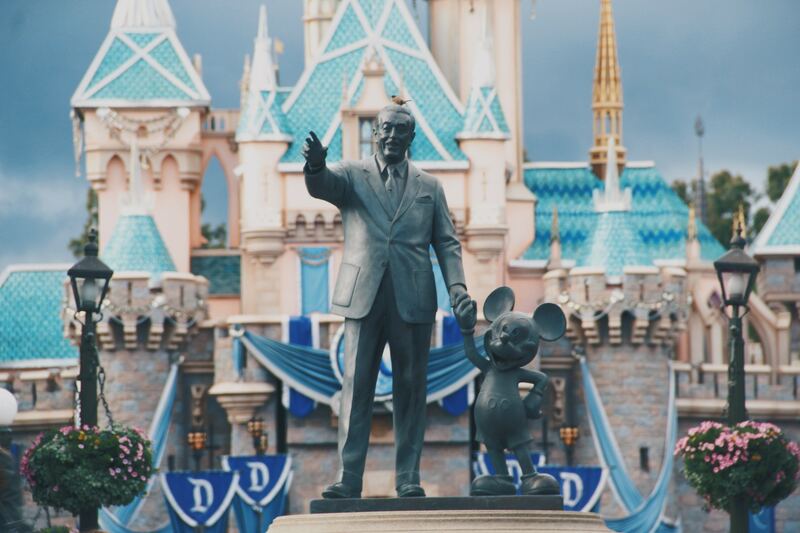 It is hard to put into words just how much Walt Disney has done, and it is hard to keep track of all the other franchises and companies now owned by the Disney franchise such as, Marvel, Fox, Pixar, and Star Wars. To celebrate Walt Disney Day we want to look through a sample of everything Disney, from books and games to movies and music. Let’s dive in! There aren’t many books that are fiction when it comes to Disney, most books that are found on Smashbomb are books about Disney, from the parks to Walt Disney himself. Most Disney movies were created from ideas and cartoons rather than books, although there are some exceptions to this; Robin Hood, The Jungle Book, Cinderella, Sleeping Beauty, Treasure Island, and a few more. 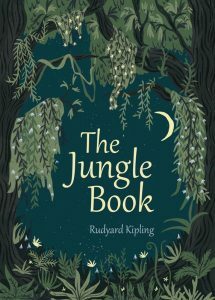 Rudyard Kipling wrote The Jungle Book in 1894 based on the themes of abandonment and fostering and law and freedom. The book is split into different stories that are set in a forest in India. The book inspired The Jungle Book Movie, which was the last movie created by Walt Disney before his death. The animated musical comedy was released in 1967 and is still extremely popular in 2018, with Disney releasing a live-action remake in 2016 by Walt Disney Productions. The Jungle book by Rudyard Kipling has a rating of 7.4 out of 10 on Smashbomb and with more movie and TV adaptations set to be made, we expect this rating to get better. 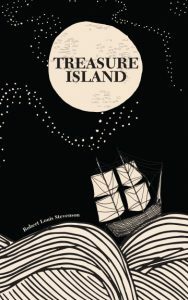 Robert Louis Stevenson was a Scottish author who wrote Treasure Island in 1883. The adventure novel is split into 6 parts and contains many real pirates throughout. The novel sparked many rumours of a real Treasure Island but it is unknown if this is true. Treasure Island inspired the 1950s Disney movie of the same name and also the Disney animated science fiction movie Treasure Planet. The book has a current rating of 8.1 out of 10 on Smashbomb. Although Robin Hood is English folklore rather than an actual book by one author, the story was still adapted into books. Robin Hood tells the story of a legendary heroic outlaw who came from a noble family (or at least that’s what most of the stories say). 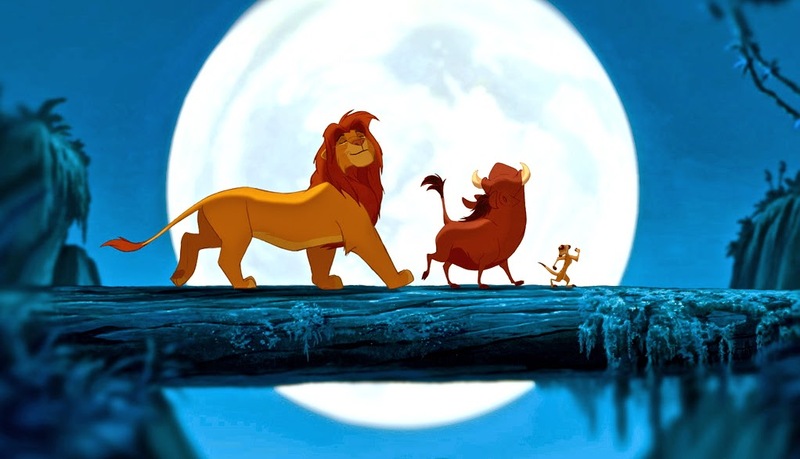 Disney adapted the story in 1973, where the characters of the original story are animated into animals that best show their individual personalities. 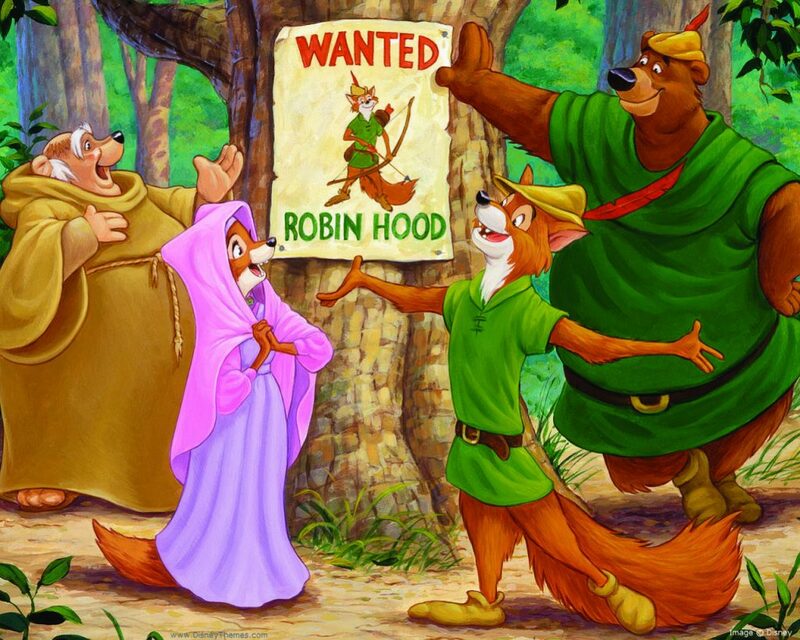 Robin Hood is a fox in the movie and so is Maid Marian, foxes are known to be slick, just as Robin Hood is known to be in folklore. Prince John is a lion, which is often what royalty in England are portrayed as, whilst the Sheriff of Nottingham is shown as a wolf. Most recent Disney movies have had a game adaptation, whether it be a video game or an app. Also, there are apps and games that are not based on just one or two Disney movies, but a mixture of all Disney characters or games based on the Disney parks. 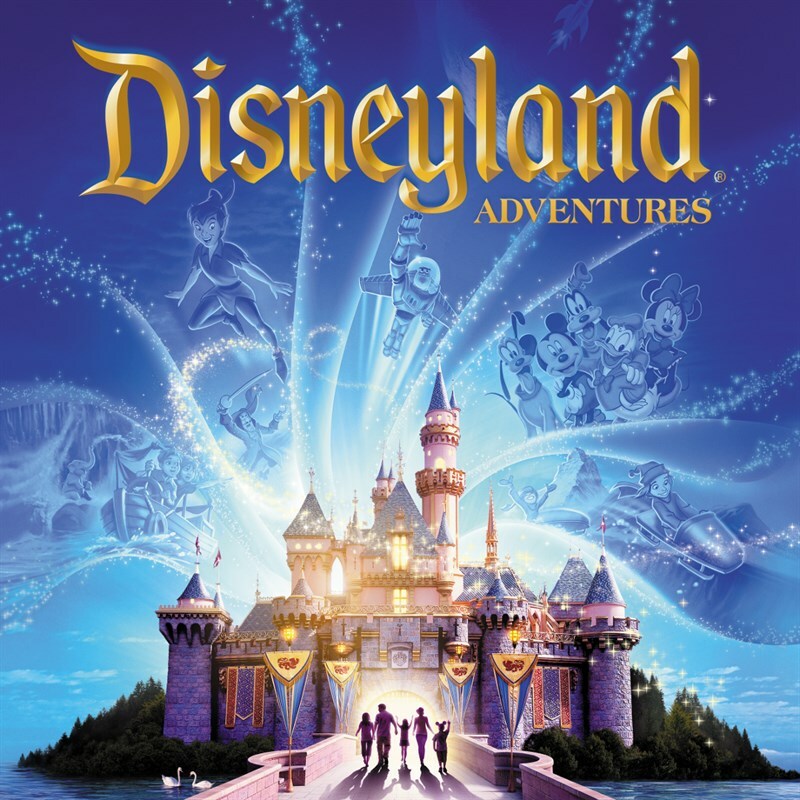 Disneyland Adventures is an open-world game, where the player takes on an avatar that explores a Disneyland park and completes quests with the help of Disney Characters in the park. Anyone could play this game, it is child-friendly whilst still being fun for Disney-loving grownups. Rated 8 out of 10 on Smashbomb, we would recommend this Disney Game for anyone who loves Disney and has access to a console (PS, Xbox, PC). Now if you’re a fan of games like Candy Crush and you love everything Disney, then this might just be a great app for you. In this game, you have to match the Disney Emojis with each other if they are close enough, like in Candy Crush. Not only is it a great game to pass time, you can win the Emojis to use in your messages. With a rating of 8.9 out of 10, this is definitely one of our Smashbombers favourite Disney apps. Now, there are so many Disney movies that have been made over the space of the last 80 odd years but sadly we can’t mention them all. We asked our users, which movies where their favourites and we are happy to say that all of the big names came up, but also a few that we hadn’t heard of in a few years. When we think of much loved Disney Aladdin is probably one that will come to mind. This animation contains some classic Disney plot lines, but also delves into newer ideas, such as the Princess being the first non-white princess in a Disney movie and the fact that even a genie can’t get you everything that you want, you’ll have to work for some things. 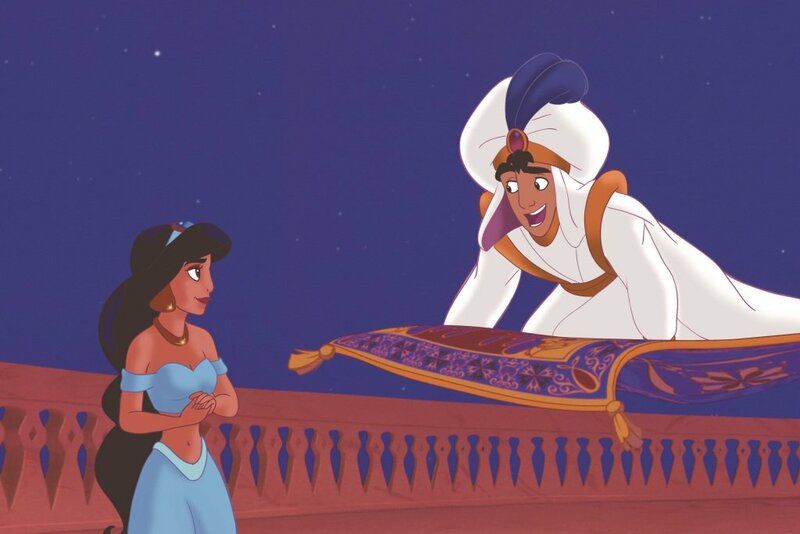 Now Disney is re-making Aladdin as a live-action, but will it be as good as the original? Most people think that without Robin Williams as the Genie, it just won’t be the same, but the idea is that it is different from the original. Will Smith will take over as Genie and we hope he can be just as sassy as Robin Williams. 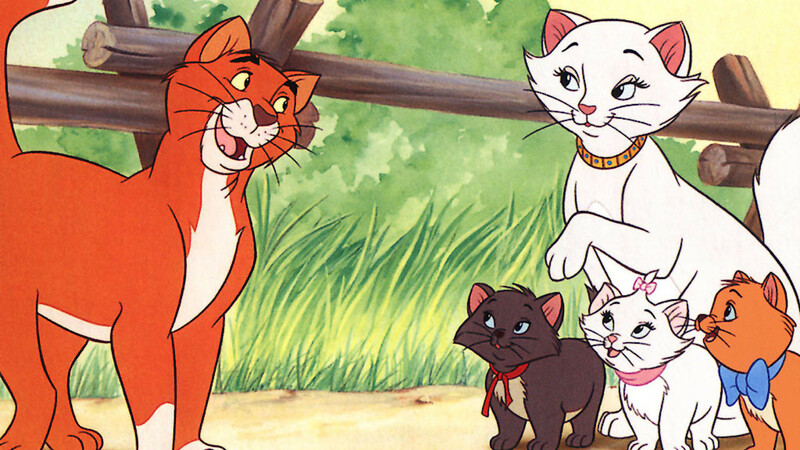 The Aristocats is a 1970s movie set in Paris, the movie follows the story of a cat, Duchess, and her Kittens; Berlioz, Marie and Toulouse, who are left a fortune by their owner. When the butler finds out, he catnaps the cat family and abandons them in the countryside, where they meet a charming alley cat, a cat jazz band and some English geese. Now this movie sounds as crazy as it actually is, but it is such a classic Disney movie. Would you like to see a remake of this classic? Comment below and let us know! This is a movie that pretty much everyone has watched more than once. It made us laugh, cry and it let our imaginations go wild. For those who can’t remember what The Lion King is, then let us give you a little idea. The Lion King follows the story of a pride of lions in Africa; that leads a greater number of African animals the main lion is Simba, the son of Mufasa, the king. The story follows Simba as he grows from a cub to adulthood, and all the issues he has to overcome. In 2019, The Lion King will be remade as a “live-action”, although a lot of the movie will have to be CGI. The movie stars; Beyonce, Donald Glover, John Oliver, Chiwetel Ejiofor, and many more. We are so excited for this one, it might be a tearjerker. 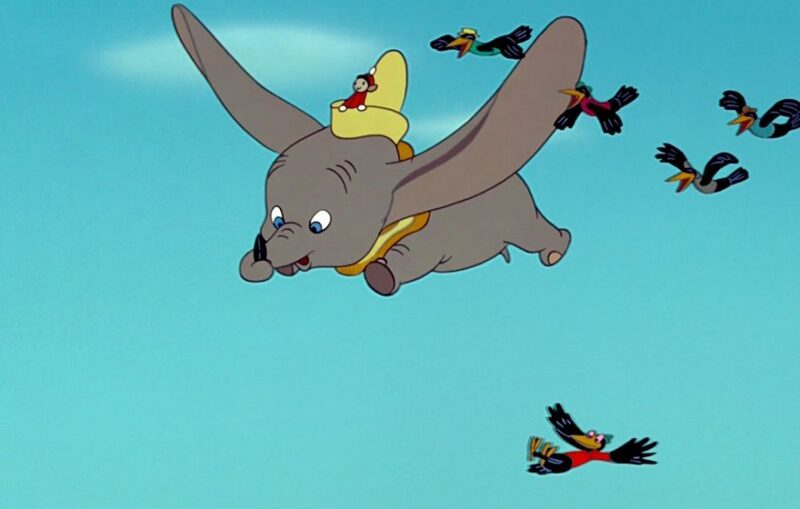 Dumbo was created and released in 1941 and is one of the last motion pictures that Walt Disney created before the war. It follows the life of a circus elephant that has the ability to fly using his magic feather. The movie follows some dark paths at times and deals with some harsh themes that can make you drop a tear or two, but it still has the ability to make you laugh. Dumbo is another Disney movie that will have its re-make in 2019 and we are looking forward to it. Beauty and The Beast was released in 1991 and has had so many remakes and adaptations since then. Belle is a strong-minded and smart woman from a village in France, one day her father is taken by a horrible monster in a castle as he returns home from a trip. 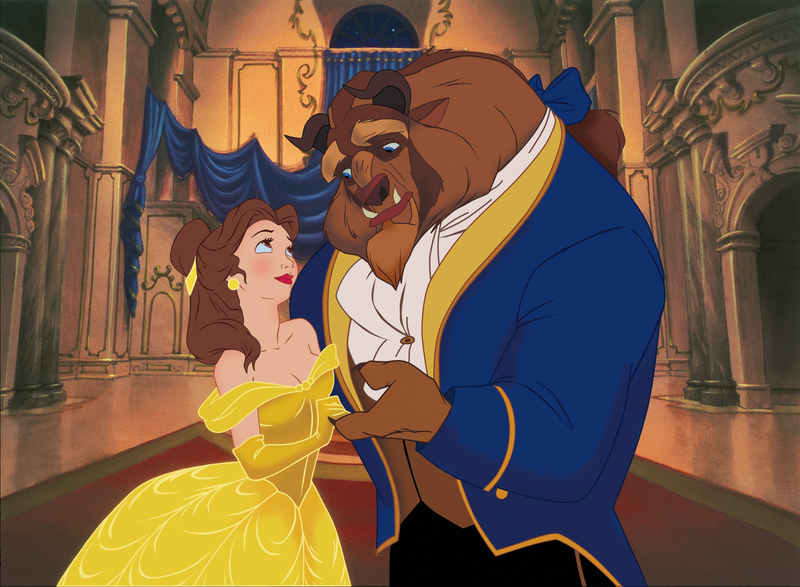 Belle trades herself for her father and is taken in by The Beast. Most people know this story very well now, after the remake starring Emma Watson as Belle. With talking clocks, candle holders and tea sets, this movie focuses on so many issues that are still prominent in 2018. If you want to find out which movies are being re-made in the next few years then you should take a look at this list and check off your favourites! Every Disney movie has an epic score to it and that has never changed. The music in Disney movies tends to be focused on the story, but sometimes it can be something you can listen to without actually watching the movie. More recent Disney movies have had soundtracks released around the same time as the movie, and that has worked really well for people who have wanted to listen to their favourite tracks as often as possible. Moana was a hit in 2016, and is still watched by many people two years later. The soundtrack was released soon after the movie, with so many toe-tapping songs to sing along to. Which song is your favourite? Come and check out the soundtrack now and leave us a review telling us what your favourite song is! There are so many ways for you to celebrate Walt Disney Day, you could have a movie marathon of your favourite Disney movies, or give some of the games a go, you could even go back and read some of the books and stories that inspired some of the Disney animations.